I have saw a Continental radial engine with a 30 at list layers WP variable pitch! Anybody has a graphic design of the attachment of the WP to the metal parts? You might try to contact Monte Chase at www.notplanejane.com. It could be made in Micarta (http://en.wikipedia.org/wiki/Micarta) or Permali (http://www.permali.com/) and not in "true" wood. 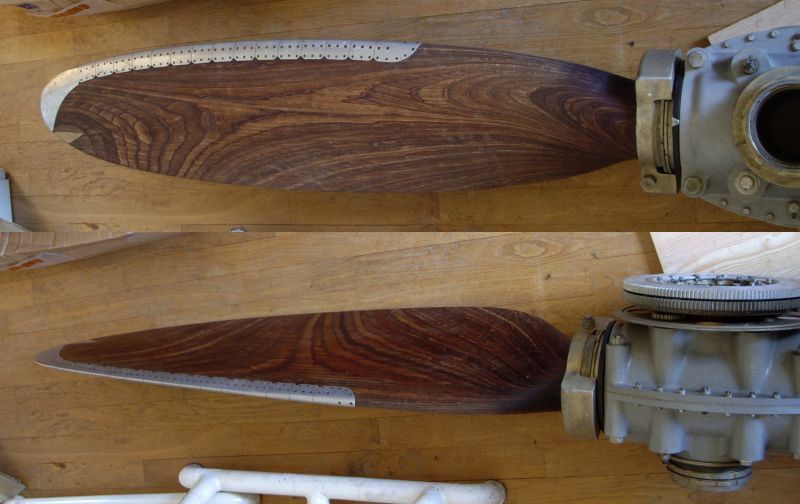 It is from 1938 and was made for a Dewoitine 520 and blades are Permali. The root blade is slightly conical. I searched for a picture of the blade root, but don't find one. Not even sure we have ever dismantled one from the hub.